There are few myth busters as intrepid as Lionel Frost. No matter the creature or circumstance, he is willing to brave any unknown in order to prove his worth. So when a mysterious letter arrives at his office claiming the existence of the legendary Sasquatch, he jumps at the chance. Making a wager with his long time rival, adventurer Piggot-Dunceby, that if he provides proof of the creature, he will have no choice but to accept him into his gentleman's club of "Great Men". Upon arrival to the Pacific Northwest, Frost not only discovers the Sasquatch but that the Sasquatch was the one who sent him the letter. Seeking his help in finding his lost relatives, the Yetis of the Himalayas. With two amazing discoveries on his hands, Frost and the newly named Mr. Link, set out to discover the lost tribe. Unaware that Piggot-Dunceby has hired a hit man to ensure Frost's quest ends in failure. 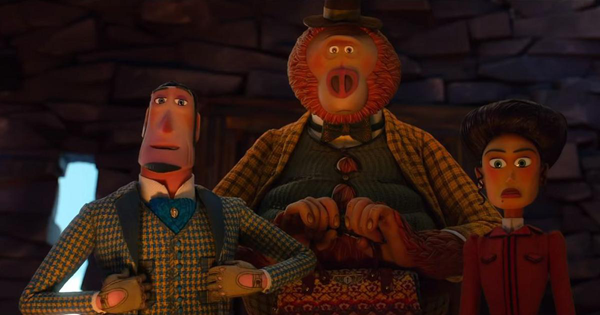 The Missing Link is the fifth feature film to be released from LAIKA Studio, and the second film to be directed by Chris Butler. 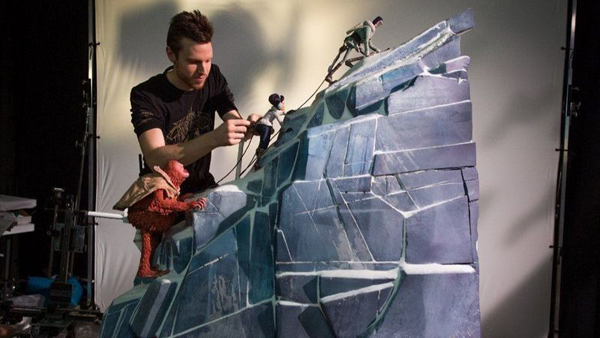 The film is LAIKA's most ambitious film to date, featuring 110 sets with 65 unique locations throughout the picture. While LAIKA has been very forthcoming in the work that goes into their films, I can only imagine how much of that will revolve around building the numerous sets as the many different locations Missing Link dares to depict. Each one being more vibrant and colorful than the last. From lush redwood forests, the humid jungles of India, and of course the frozen tundra of the Himalayan mountains, almost every new scene takes place in a vastly different setting with a distinctive look. The large number of locations gives the film a lot of room to breathe and even gives the animators a chance to animate animals that they have never tackled before, horses and even elephants are brought to life in this film, allowing the film to really hit its globe trotter tone. The story is rather straightforward, and thus pretty hard to spoil (though there is one particular twist I will not mention as it came as a nice surprise) but the characters are funny and charming. 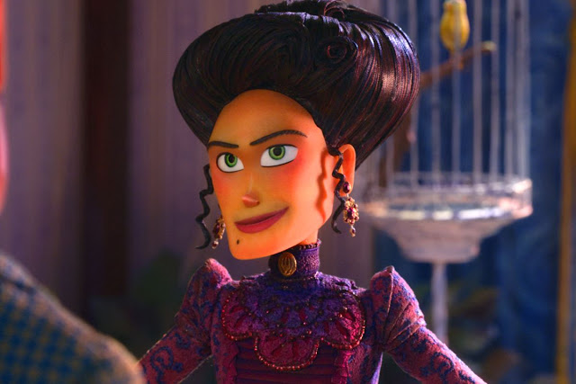 Scene stealer Adelina (Zoe Saldana) is able to verbally joust with Hugh Jackman's portrayal of Lionel Frost, who captures the dignified enthusiasm of some of cinema's best adventurers. And I would be remiss I didn't mention Zach Galifianakis as Mr. Link, also known as Susan. While I didn't end up getting as attached to this film's cast as I have with the characters of Kubo or Paranorman, they strike a very good balance of both humor and heart. It is also a very safe family film. While some of the previous LAIKA films could potentially frighten younger kids, Missing Link doesn't have any jump scares or creepy imagery. It is just a fun, globe trotting adventure with wit, sense of humor and doesn't take itself too seriously. A nice balance of everything that makes a good family film. If you're curious, or want to support LAIKA I would definitely recommend you see the film in theaters. Especially if you are a fan of stop motion animation. It may not have a whole lot of staying power compared to the rest of LAIKA's features, but I'm truly glad I had a chance to see it. FORMAT: THEATRICAL RELEASE FROM: LAIKA and Annapurna Pictures RATING: PG RUNNING TIME: 1 hour 35 minutes. IN A NUTSHELL: A charming globe trotting adventure for all ages.